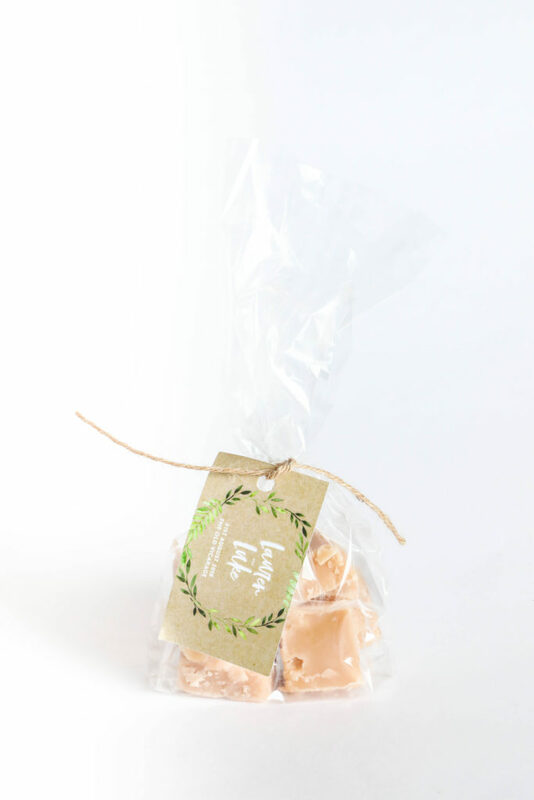 Wedding favour fudge presented in a clear gift bag and include 100g, approx 5 pieces, of our best selling handmade Clotted Cream Fudge. All of our favours come gift tagged with your own preferred design and wording and ribboned to match your colour scheme. 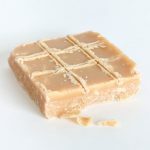 All of our fudge is handmade in The New Forest, Hampshire. Please allow a lead time of 21 days for your order. Cost per single unit £2.00. Minimum order 20 bags.